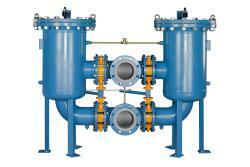 High performance filters for modern hydraulic systems. Nominal pressure 25/63 bar (360/900 psi), nominal size up to 450. High performance filters for modern hydraulic systems. Nominal pressure 25/63 bar (360/900 psi), nominal size up to 400 according to DIN 24550. High performance filters for modern hydraulic systems. Nominal pressure 40 bar (570 psi), nominal size 630 and 1000 according DIN 24550. High performance filters for modern hydraulic systems. Nominal pressure 10/16 bar (140/230 psi), nominal size 1250 up to 8000. High performance filters for modern hydraulic systems. Nominal pressure 200/250 bar (2850/3560 psi), nominal size up to 450. High performance filters for modern hydraulic systems. 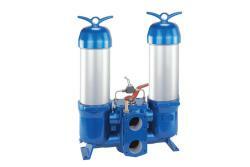 Nominal pressure 200/250 bar (2850/3560 psi), nominal size up to 400 according DIN 24550. 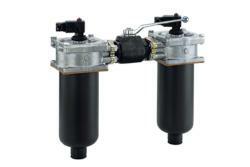 High performance filters for modern hydraulic systems. Nominal pressure up to 315/350 bar (4570/4980 psi), nominal size 40 up to 400 according to DIN 24550.